In another first for WOMA, we have coordinated the arrival in to Adelaide of ‘Priscilla’ (the WOMA display truck) with the commencement of APPEA 2018. Instead of utilising the limited confines of a small indoor booth, the WOMA Team will display a variety of its High Pressure, Vacuum and Explosion Protection solutions at APPEA 2018 from 14 – 16 May 2018 from the show truck ‘Priscilla’’. In 2016/2017, Priscilla travelled some 37,000 kilometres around Australia visiting some the country’s most remote mining, refining and oil & gas facilities. In the words of the MD Mr. Ian Blevin, “it is critical that as a bespoke, specialist supplier of industrial solutions in the pressure and vacuum pumping and explosion protection arena, that we don’t expect the proverbial ‘Mountain to visit Mohammed’. Importantly, we as a supplier have a responsibility to expose the market to our range of sophisticated, robust and reliable solutions wherein we deliver Global technical solutions with local ingenuity”. 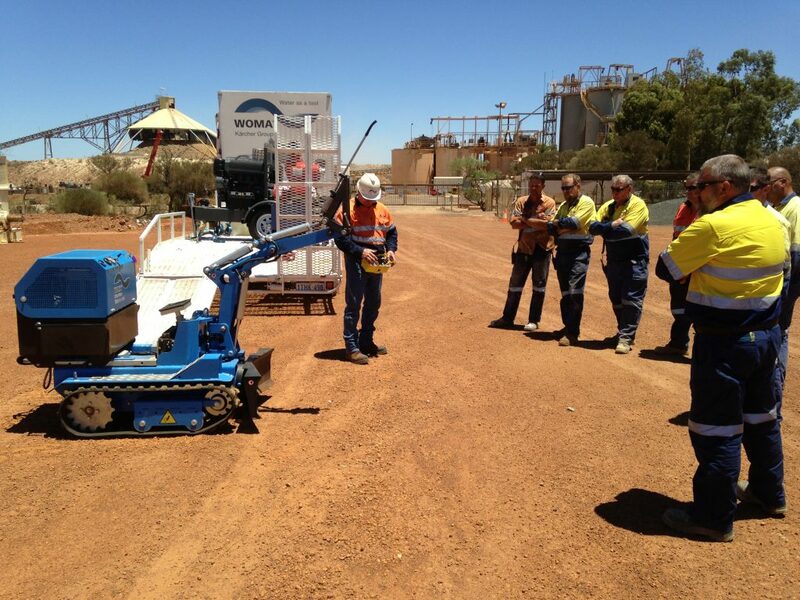 WOMA’s success in introducing leading edge technology to the Australian market is legendary, and in keeping with that track record, they have again met a new benchmark with the successful introduction and integration of Miretti ATEX and IECex explosion protection OEM capacity to their operations. The recent and successful conversion to ATEX Zone 1 Group 2G & 3G of material handling equipment (example: TOYOTA Fork Trucks – see photo attached) has enabled security for both Toyota and its valued Clients. This single accomplishment facilitates the provision of a host of potential Ex solutions for the Petro-Chemical and Oil & Gas industry – solutions which will be displayed at APPEA 2018.